Tires provide a direct link between your vehicle and the road because they play an integral role in all aspects of vehicle operation. This includes steering accuracy, alignment, and brake function. Driving with defective, old, or worn tires, can create an increased risk of an accident. There are hundreds of fatalities per year that can be attributed to tire-related failures. The Safety Institute conducted a study related to tire related-fatalities and determined that there was a 10.6 percent rise between 2013 and 2014, while deaths related to other types of crashes only increased by 0.3 percent. If you drive with underinflated tires, it can compromise the safety and effectiveness of your vehicle. It can affect handling and your ability to control the vehicle, which can cause an accident. If one or more tires keep losing air, you should have them checked immediately. Do the tires fit properly around the rims? Check your sidewalls to look for bulges, holes, small slits, or deep scuffs. These are signs of weakness that could cause a blowout. Look at your tread wear patterns. Almost all tires have wear indicators built into them. They are usually invisible, but they appear when the tire tread has worn down to 1/16thof an inch. Learning how to read your wear patterns can provide insight on what might be wrong with your tire(s). Center wear: Tires that show signs of rapid wear down the center may be regularly over-inflated. This means you are riding down the center of the tread. Shoulder wear (inner or outer): May point to tires being misaligned if one side is wearing down more than the other. Diagonal wear: A patchy wear pattern, especially in a diagonal shape, may suggest your tires are out of balance and need to be rotated. Cupping: Cupping refers to the random smooth spots on your tire, or little dips in the tread, which could point to a problem with your vehicle’s suspension. 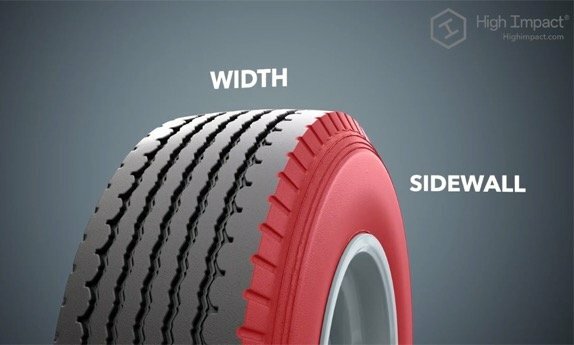 Edge wear pattern: If your tires are only worn on the outer edges, it could mean they are underinflated. This causes performance and handling problems. The length of time your tires will last depends on a variety of things, including how they are used and stored. Proper storage is also important as sun damage is one element that can contribute to tires failing earlier than they should. Experiencing a problem or accident with a faulty tire can be terrifying, especially if you are traveling at higher speeds. It could be the result of a blowout, unexpected flat, or separation. Whatever the circumstances are, if a tire is defective and causes an accident of some type, it can cause serious consequences. Defective tire accidents can result in serious injuries, and even fatalities in some cases. If you have reason to believe you have a defective tire, you need to have it inspected right away. Once that is completed, you need to file a complaint for a defective or faulty tire with the NHTSA, or the National Highway Traffic Safety Administration. It’s important to note that the NHTSA reviews each and every complaint that is entered. Some may not warrant any additional action, while others will lead to further investigation or a recall. It may take a long time, but if there is an eventual recall issued, you will be notified. If a tire has one of these defects, it typically results in a complete blowout. Defects typically occur in the design or manufacturing phases. Under product liability laws, anyone who is involved in the chain of distribution can be held responsible for selling a defective tire, as everyone played a role in putting the tire in the stream of commerce. The NHTSA estimated that in 2016, there were 733 motor vehicle traffic fatalities where a tire malfunction was a contributing factor. In 2015, there were an estimated 19,000 people injured in motor vehicle collisions which could be attributed to some type of tire issue. You need to ensure you are maintaining and servicing your tires regularly to check for any signs of trouble. 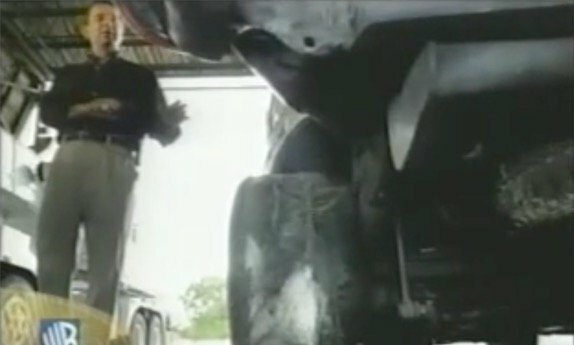 Regular inspection of your tires can help prevent a blowout and subsequent injury. Legally, tire manufacturers must replace or repair recalled tires if the owner requests service within five years of the recall date. Additionally, the owner must come forward within 60 days of receiving the notice. Note that there is a difference between legal notice and actual notice. Typically, manufacturers must send notices to the registered owner address. There is usually no duty to track owners down. Other legal loopholes may apply as well. Tire manufacturers make money by selling tires and not by making free repairs or replacements. So, they use these loopholes to deny liability whenever possible. At Halpern, Santos & Pinkert, our tire defect attorneys work just as hard for victims. We know the law, and we know how to make it work for people. With an advocate like that in your corner, you have a much better chance of obtaining the compensation and justice you deserve. 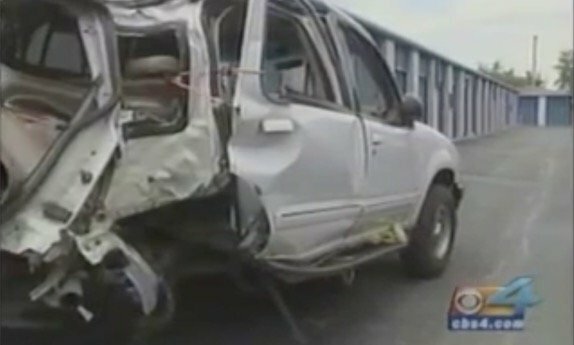 Broken Bones: These injuries are much worse in Miami car crashes then they are in accidental falls. Due to the excessive force involved, car crashes usually crush bones. So, doctors must often use metal plates or pins to set them. Then, the victims must endure long-term physical therapy to regain lost function. Head Injuries: Padded dashboards, airbags, head restraints, and other safety devices usually protect against external trauma injuries. But they do little or nothing to prevent motion-related head injuries, like whiplash. Many times, the latter is worse than the former. Blood Loss: By the time first responders reach victims and begin treating their wounds, they have usually lost copious amounts of blood. In fact, many victims are on the edge of hypovolemic shock before they even reach the hospital. These injuries are usually even worse in loss of control crashes, and these are the kinds of crashes that defective tires cause. 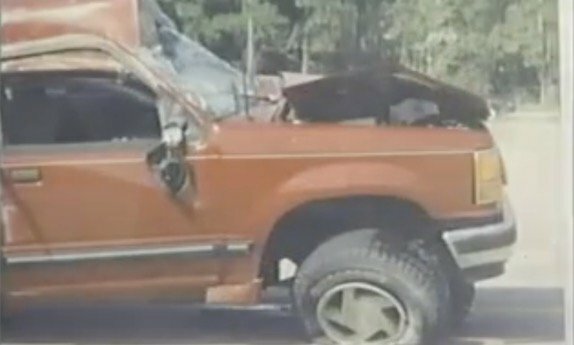 Physical evidence from the vehicle is very important in these claims. The Event Data Recorder keeps track of things like mechanical failures. Furthermore, the Tire Identification Number (TIN) and tire size may conclusively establish that the tire was defective. However, in serious crash cases, Florida insurance companies usually destroy totaled vehicles within a few days. If that happens, all the physical evidence disappears. Attorneys send spoliation letters to prevent this outcome. These letters direct insurance companies and other custodians to preserve any possible physical evidence for trial. There are extremely stiff penalties for noncompliance, so most Miami insurance companies take these letters very seriously. Due to privacy laws, attorneys may need court orders to inspect the physical evidence. That’s definitely true with regard to the EDR. If your tires are not in good condition, it can affect everything from your vehicle’s ability to stop to its handling. Therefore, it’s imperative you keep your tires in good working condition, which will also help to keep you and your loved ones safe while driving. Here are several ways you can improve the life of your tires. Maintaining proper tire pressure is one of the most important aspects of keeping you safe and maximizing the life of the tire. Be sure you verify what the tire manufacturer’s recommended pressure level is. Proper tire pressure is not something you can necessarily eyeball, so you need to verify that the levels are correct through testing. Try to test your tire pressure monthly and before long trips, preferably when the tires are cold. The correct pressure may be noted on the driver’s door jamb or in the vehicle’s owner’s manual. Don’t solely rely on the “maximum pressure” noted on the tire. Driving at higher speeds generates more heat, and that can increase tire wear. For example, reducing your speed from 75 mph to 55 mph can reduce your tread mileage by maybe 20 percent. In addition, you may see some fuel savings by slowing down. Also, the fast take off where you squeal the tires or grind them during a curve will wear them out faster, too. Go easy when you’re starting from a stop and don’t take the curves hard, and you may extend the life on your tires. Damage can occur when tires are not properly aligned. Improper alignment can cause vibration or shaking which can damage the tires. This is noticeable through uneven tread wear and tire bulges. When your wheels are aligned correctly, it will distribute weight evenly over all of your tires, which can help improve their life. Check your tires for weird wear patterns and irregularities, as these can be signs of inflation or alignment issues. Most tires should be rotated every 5,000 to 8,000 miles to help even out tread wear. Winter tires that are designed for expert handling on snow and ice will wear down more quickly on clear roads. If you have purchased winter tires, be sure to take them off once the weather clears for the season so you can increase how many winters those tires will last. Most drivers don’t check their tire tread until they experience a problem, which can be too late. Get into a habit of regularly checking your tires and learn to read the warning signs that can point to problems like under- or over-inflation, improper alignment, misaligned wheels, etc. Summertime is when tires are more prone to failing. It’s not uncommon to drive down the highway and see fragments of shredded tires along the shoulders. Towing companies are busier, and that means more stranded motorists and potentially more accidents. A blowout can have serious consequences for the driver as well as other vehicles nearby. The reason summer is known as “tire blowout season” is because of the heat, and it’s when more people are taking longer road trips with vehicles that are heavily loaded. These conditions can push a damaged tire beyond its breaking point, causing it to sustain a blowout. To understand how to prevent a tire blowout, it’s important to understand how blowouts can occur in the first place. One of the main reasons a tire has a blowout is because it’s underinflated. This is something that is very easy to fix and can help prevent a blowout in the future. When a tire is not inflated properly, it can affect the internal components like the rubber, steel, and tire-fabric. These can weaken and be over-flexed, which can cause them to fail, resulting in a blowout. Many newer tires are equipped with a tire pressure monitoring system (TPMS), but it’s not wise to rely on that alone. Get into the habit of checking your tires at least once a month, which can help prevent a blowout. Make sure you don’t drive with too much weight in your vehicle. Pushing the weight limit can prove disastrous as it puts too much pressure on your tires. You can check the load weight of your vehicle, known as the Gross Vehicular Weight Rating, and also verify the maximum recommended weight for your tires. If you have a heavy load to transport, consider taking multiple loads or restricting the number of passengers you bring. Inspecting your tires on a regular basis can go a long way in finding potential problems. By correcting those problems upon discovery, you can help prevent a future blowout. Look for tears, bubbles, or irregular wear patterns. If you see anything out of the ordinary, it could be a potential hazard that needs checking. You may think you are saving money by driving tires longer than recommended, but it could prove to be an expensive and dangerous mistake. The timeframe will vary based on how much you drive, but once every six years is usually the minimum. If your tires are on a vehicle that sits unused for a portion of the year, you’ll want to verify that environmental elements are not helping your tires deteriorate faster. When a vehicle sits for weeks or months, the tire’s surface can start to crack, especially on the sidewalls. They can also crack at the base of the tread grooves, which can result in ozone cracking or weather checking. After a car accident, you’ll want to file a claim to recover the costs of your medical bills, income you’ve lost due to missed work or if you’ve become disabled, as well as compensation for your pain and suffering and other legal damages. When the accident was caused in whole or part by a tire failure, the case becomes exceedingly more complex, including how to determine the party or parties responsible for your injuries, and how you’re going to prove their liability to you. The steps you take after a car accident, including what you say and do as well as what you don’t say or do, can be critical to the later success of your claim or claims. See below for tips on how to avoid an accident after a blowout on the road, and what to do if you are in an accident involving a tire failure of your own or another driver’s. For immediate assistance, call Halpern Santos Pinkert nationwide at 877-529-6211 to speak to an experienced and successful tire litigation lawyer. The sound of a blowout and sudden change in vehicle handling is enough to send many people into a panic. A common first reaction may be to slam on the brakes or overcorrect by steering hard in the opposite direction the car is heading. Both of these maneuvers could make a bad situation worse and cause a serious crash. Instead of hitting the brakes, try not to use them at all but instead let the car decelerate naturally by taking your foot off the gas. Turn on your hazard lights and then keep both hands on the wheel and keep the steering wheel locked as you move to the side of the road. In many instances, proper handling after a blowout can land you safely on the side road without incident. However, some tires are defectively designed so that a blowout or tread separation will cause loss of control or the lack of ability to handle the vehicle safely. If you are in an accident due to a tire failure on your car or another driver’s, consider the following steps to protect your rights. Whether caused by a tire failure on your car or another, there are important steps to take after any accident for your safety and also to protect your rights regarding any ensuing insurance claim or litigation. Everyone’s first concern after an accident should be for their own safety and others. This includes first aid and calling 911 if anyone needs medical help on the scene or to be transported to the hospital. If you are in traffic, you need to get yourself to a safe location out of traffic. While waiting for the police to arrive and make a report, most states require you to exchange information with the other driver. This includes information such as your name, driver’s license number and the name of your insurance company and how to contact them, as well as your policy number. You do not need to share information regarding what kind of coverage you have, however. If witnesses to the accident stuck around to help, find out what they witnessed and get their names and numbers.  Witnesses may not wait around for the police to arrive, so it is important to get their information before they disappear. Next, take pictures of the accident scene and the damage to all the vehicles involved. It is very important to take pictures of the tire or what’s left of it. If possible, you will also want to hang onto the remains of the tire so that an appropriate expert can inspect it and determine how and why it failed. In general, you should not make any repairs or alterations to your vehicle after an accident until your attorney or a claims adjuster has had the opportunity to inspect it and photograph it. Be sure to follow up with a medical provider soon after the accident, even if you didn’t require emergency care. Some medical conditions may only become apparent later, and if left undiagnosed can become a serious problem down the road. You’ll also need to call the insurance company soon after the accident to retain your rights to file a claim, but it is a good idea to call an attorney first, or at least to decline to give a recorded statement to the insurance company until you have talked to a lawyer. Call an attorney as soon as you can after the accident, and you will get good advice on what to do and not do and how to proceed to file a claim, preserve evidence, get appropriate medical treatment, and ultimately recover compensation for the harm you’ve experienced. Call the Tire Litigation Attorneys at Halpern Santos Pinkert after a Tire-Related Accident in the U.S. In Florida, call Halpern Santos Pinkert at 305-445-1111. Our tire litigation lawyers handle cases all over the country and can be reached toll-free nationwide at 877-529-6211. We offer a free confidential consultation about your accident, and if we take your case, we’ll advance all costs of litigation and never charge a fee if we don’t recover for you.